Cultural centre Man Ray is active in Cagliari from 1995 as a free association of the professionals in the field of culture and its official site is Via Campania 26; its schoolroom site is in via Isonzo, Cagliari. The centre is active in the field of the social culture and its main task is to disseminate artistic expressions of the visual communication through the organization of artistic and didactic exhibitions, debates, workshops, conferences and performances. Particular attention is paid to photography in the Man Ray Photo School directed by Stefano Grassi. Photo schools program includes both techniques of shooting and elaboration of digital photography, and lectures of history of art, applied physics, cinema, marketing and strategy of the enterprise. Various activities practised by the Centre allowed to create an opportunity of exchange and communication between artists from different fields of art: from music to poetry, from fine arts to photography e video, from theatre to dance. In activities of Man Ray centre participate all noted Sardinian artists from all parts of the regional territory and also some artists working on international level, they also support emerging young artists with an aim to recognize and promote new talents selected not only in the base of main interest of their artistic research but also of innovation of content of their works. For this reason in 2001 occurs Imperfetto futuro”, an exhibition of Art in progress, planed and directed by Wanda Nazzari, the aim of which is to stimulate an artistic research through the promotion of youngsters separated in various fields: painting, photography, video, music, theatre, dance, poetry. The inheritance of knowledge and professionalism matured in the long run are numerous personal exhibitions as well as national and international exhibitions realised by Man Ray Centre. A particular care is dedicated to annual exhibitions "Stanze” and "Imperfetto futuro". "Stanze” from 1999 to 2012, multimedial project of Wanda Nazzari, an annual exhibition of visual arts: photography, fine arts, sculpture, video-art, installation, etc. The project foresees an interaction of visual arts, music, theatre, dance, poetry. The exhibition takes place according to two different lines: a proposal of one theme in the frame of which artists are invited to develop their work or another one, which through a expositive collectivity masks personal features of already well-known and affirmed artists. 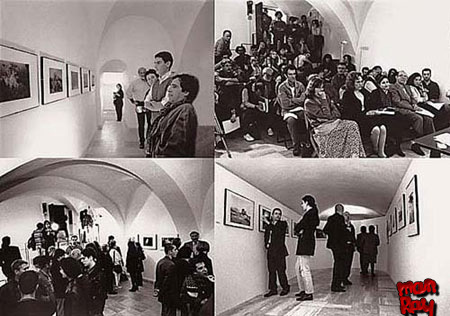 "Percorsi dello Spirito” 1998/2000, multimedial project of Wanda Nazzari, an international exhibition of visual and performative arts: reflection through the values which characterize spiritual dimension and for which were invited artists from different geografic areas ( Italy, USA, Japan). "Attraversamenti” 1999/2000, multimedial project of Wanda Nazzari. Exhibition of visual and performative arts. "Imperfetto futuro” happening of art in progress 2001/2012, multimedial project of Wanda Nazzari, realised by Wanda Nazzari and Stefano Grassi. "Imperfetto futuro" art in progress, youthful festival of arts, is an interactive project of Wanda Nazzari, artistic director of Man Ray Cultural Centre. It borns in 2001 with an aim to promote and stimulate the creativity of young artists, offering them an opportunity to show off in various artistic fields together with other already affirmed artists in the field of music, theatre and dance, in full freedom and spirit of collaboration. Man Ray Centre has a wide photographic and video documentation realised by Stefano Grassi and students of Photo School about all exhibitions realised by Centre. Moreover, there are numerous pubblications and catalogues of art realised by Centre in collaboration with famous critics and historians of art, who document this part of contemporary artistic research. Born in Cagliari. Painter, sculptor and performer. The white monochrome and the color violet are the distinctive features of her artistic work, that gains an introspective value with the "nest" metaphor. Since 1990 she starts her production of artists books , wooden works and, at the same time, of really big installations and performances, inside museums, parks and public areas. Among the most important we mention: "A Sarajevo ancora" (1993), "Ali" (1996), "Riconciliazione" (1998), "Le voci illese" (1999), "Fessura di tempo" (2001), "Il cerchio aperto" (2001), "Sonora" (2002), "Se il grillo resta udibile" (2003), "Intervallo (2006), "Listen" (2008), "Come fili di spada" (2010), "Petra" (2011). Since 1995 she directs the Cultural Centre Man Ray, a polyvalent space dedicated to the contemporary artistic experimentations, for wich she planned many multimedia shows, at a national and international level, like "Attraversamenti", "Percorsi dello spirito", "Stanze". She projected and directed eight editions of "Imperfetto futuro", an interactive happening of visual arts, music, theatre and dance created for young people. Stefano Grassi lives and works in Cagliari (Sardinia). From 1985 to 2008 he has owned and run the studio di Comunicazione visiva PhotArt (an Agency specialized in publishing and advertising services). In 1979 he took his diploma in teaching training. In 1998 he specialized as a scene / stage photographer at the European Institute of Design in Cagliari with an experimental thesis on touristic - hotel advertising photography (triennal diploma). Since 1988 he has taught photography, video and visual communication at the European Institute of Design, the Compagnia d'Arte Laterale, the Centro Culturale Man Ray and state schools. From 1993 to 1994 he lived in Rome where he worked as a scene photographer at the Parioli Theatre for the "Maurizio Costanzo" television show. In 1995 he was founding member of the Centro Culturale Man Ray, a polyvalent exhibition space specialized in contemporary artistic experimentation. At present he is the president, the director of didactic acitvities and the coordinator of the exhibitions and events of the Centre. In 2004 he was invited to hold a seminar treating video production at the International Cinema and Theatre Festival in Pula (Croatia) at which he presented his short film entitled "Maimone's land" (with the contribution of the Italian Institute for Culture in Zagreb). Together with his students he produced another short film entitled "Mercat Dance". 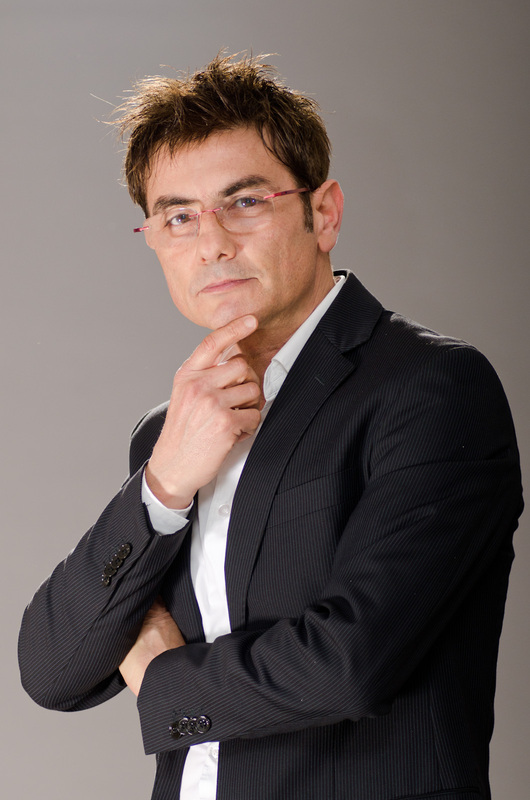 He collaborates with "L'Unione Sarda" and "La Nuova Sardegna" newspapers. His new services have been aired on both public and private television channels. He also produced numerous short films and didactic videos. He has supervised the organization and publishing coordination of all the exhibition held at the Centro Culturale Man Ray. In 2012 he produced, with the musician Giuseppe Maggiolo Novella, three shows about "Artistic avant-garde of the twentieth century": “Wassily Kandinsky and the synthesis of the arts”; “Man Ray between reality and fiction”; “Jackson Pollock: genius and madness”. In 2012 he opens "Man Ray Law and Justice" with the seminary of political philosophy "Gramsci intellectual humanity, this is the reality, here is the struggle for the restoration of democracy". The latter was constituted by eleven lectures given at the Faculty of Political Science of the University of Cagliari, by professors, judges, educators, economists and communication experts. An historian of art, she teaches this subject at the upper secondary art school in Alghero. She cooperates with the University of Sassari. She has worked at the superintendency in charge of architectural and landscape assets and the historic, artistic and ethno-anthropological heritage of Sassari for the safeguarding of Sassari's architectural and artistic heritage. She works with public and private organizations such as Time in Jazz, Su Palatu Fotografia, Associazione Culturale Sadomomanna, the Faculty of Architecture of Alghero, the municipal administrations of Alghero, Sassari and Bosa, the Conference of Italian Bishops (CEI) and the fine arts academy in Sassari. 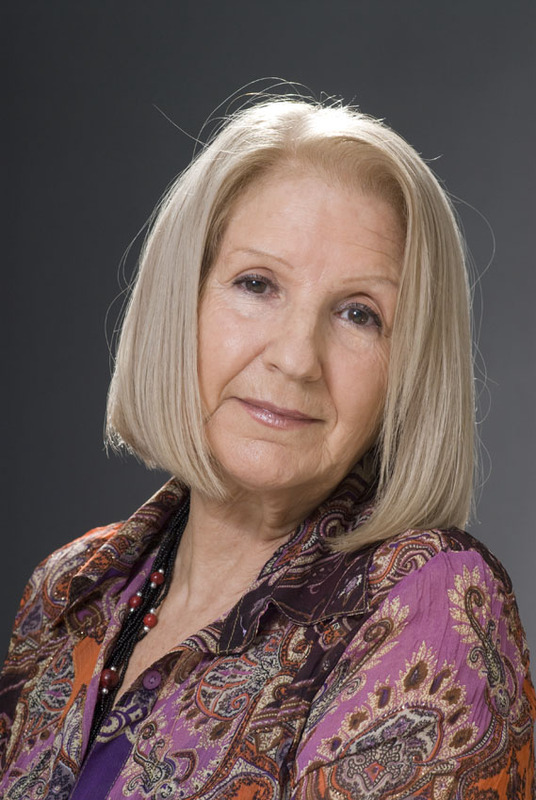 She has curated many exhibitions and since 1997 she has been the scientific consultant of the Man Ray Cultural Centre. Gianfranca Loi graduates in 2003 in Modern Literature, with a thesis in History of Contemporary Art, at the University of Cagliari. In 2006/2007 she attends the Master in management of Cultural and Artistic Events, at Palazzo Spinelli Art and Restoration institute of Florence, earning the title of "Technical expert in the management of museums and art galleries”. Since 2008 she has been collaborating with the cultural centre Man Ray in the organization of cultural and artistic events. In 2006 she graduated in the history of art from the Sapienza University of Rome as a curator of contemporary art. In 2007 she attended the course of specialization leading to the title of "Expert in Network Cultural Content" of the Italian Ministry of Universities and Research (MIUR) and qualified as a “technician in educational services with functions of outward promotion operating in enhanced cultural and environmental sites” - the Parnaso Programme of the Sardinian regional administration. In 2008/2009 she worked for the UNICITY company in Rome as a copywriter specialized in the enhancement of cultural assets and business communications. From 2010 to 2013 she worked in Cagliari as a multimedia technician for the Karel video production company. 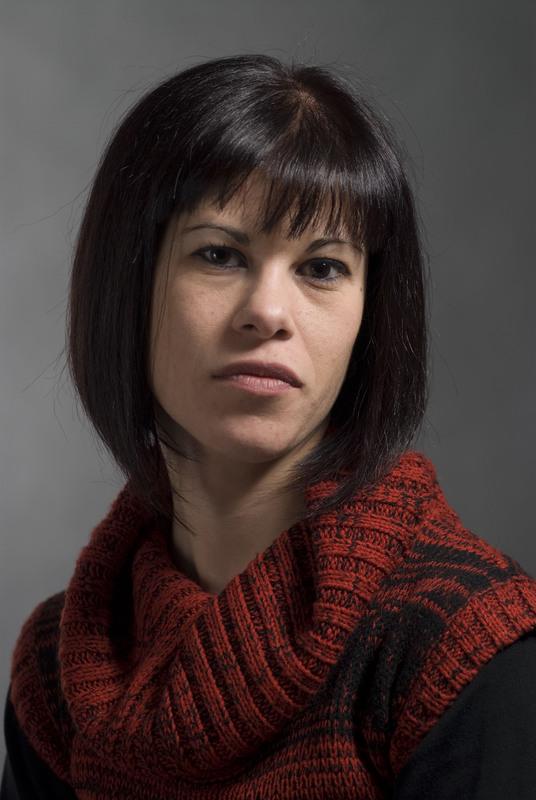 Involved in the field of contemporary art and photography museums, she has worked as a teacher of the history of photography and art at the school of photography of the Man Ray Cultural Centre in Cagliari, of which she is a member, and curates the exhibitions of the school’s students at the end of their courses.